Molly Yeh, host of "Girl Meets Farm" on the Food Network, has been nominated for a 2019 Daytime Emmy in the Outstanding Culinary Host category. Also, the James Beard Foundation announced Molly as a nominee for its annual awards as Outstanding Personality/Host. The Beard awards are the food world’s red carpet spectacular and recognize outstanding performance in nearly 60 categories, honoring broadcast media, cookbooks, restaurants and chefs, and more. Girl Meets Farm is currently in Season 3 on Food Network. 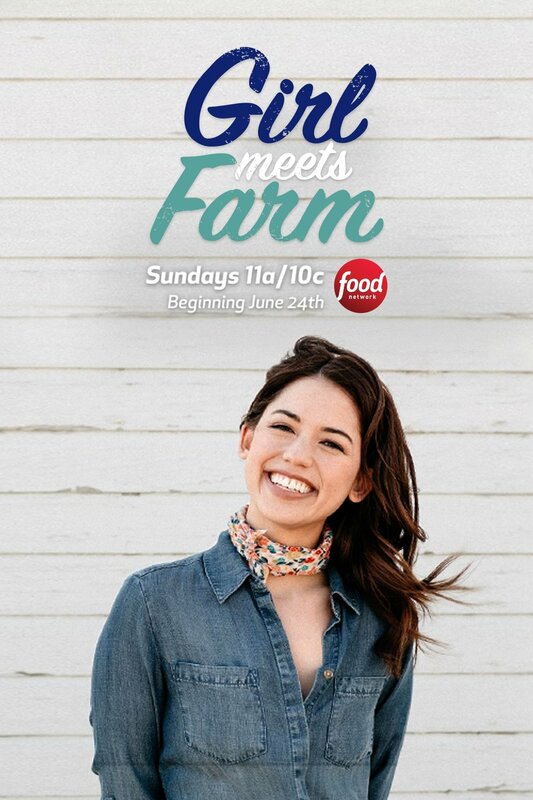 Girl Meets Farm On Food Network - June 2018! Best-selling cookbook author and blogger Molly Yeh is joining Discovery, Inc.’s Food Network for the upcoming culinary series Girl Meets Farm. Yeh is the author of the International Association of Culinary Professionals award-winning cookbook Molly on the Range. She is the creator of the food and lifestyle brand my name is yeh, which has been recognized by New York Times, Food & Wine, Saveur and Yahoo. Yeh also made Forbes‘ “30 Under 30″ list for 2017. Z Living has announced that more episodes of Altar'd are coming in 2017! "We’re incredibly pleased with the breakout performances of Altar’d and Finding Fido, which brought a significant number of new eyeballs to Z Living, and to welcome fresh, noisy talent to our growing development slate,” said Z Living CEO and GM Rafe Oller. Steel City Rehab Premieres April 30th On HGTV! Bodega's newest show for HGTV follows Kris and Tara Bennett as they work with their team to revive Pittsburgh's misfit houses and return the Steel City to it's former glory. Altar'd Nominated For 2017 Realscreen Award! Our weight loss series for Z Living is nominated in the Lifestyle - Health & Well Being category. The Realscreen Awards recognize the best in unscripted and non-fiction programming from around the world. Bodega recently teamed up with popular lifestyle blogger and designer Emily Schuman to create some commercial spots for the launch of her new bedding and lighting collections at Nordstrom. The collaboration was a huge success with nearly all of the items selling out in the first 12 hours of the product launch! We're very excited to announce our new series, Altar'd, at Z Living! Watch Tiny Luxury On HGTV! Lambent Productions has landed a development deal with Banijay International and revealed a slate of commissions including a US pilot with LA-based Bodega Pictures. Scripps Networks Interactive-owned cable nets HGTV and DIY have greenlit six home renovation and design series. At HGTV, Bodega is producing Tiny Luxury, a series about a company that builds luxury homes that are 150 to 440 square feet in size. Looking for a clearer and more realistic view into the inner-workings of the reality TV industry, Forbes speaks with Bodega's Benjamin Nurick. Racing dreams start early for this high-octane group of aspiring professional drivers. These kart-racing daredevils whiz 70mph through hairpin turns while also navigating intense rivalries and outrageous family drama, both on and off the track. Music superstar and chef, Kelis Rogers, is about to drop her new album “Food” and it’s time to celebrate by hosting a dinner party for her inner circle. Kelis starts the day with her publicist to discuss the marketing strategy for the new album. Back in the kitchen, Kelis joins forces with her friend, Robbi, to prepare a spectacular meal featuring jerk ribs, shrimp fricassee and goat cheese ice cream. John Green knows bars. As a top-level consultant, he’s designed, staffed and launched some of the most prestigious bars and nightclubs in the world. Now he’s bringing that expertise to struggling bars across America. John quickly assesses the location, identifies the problems and finds the solution. This expert can help any bar that’s “on the rocks” get back into the black. Bodega was in Sin City for Oribe Hair Care's annual extravaganza, providing an exclusive look at the techniques used by world famous hair stylist himself. biggest dubstep DJs doing his thing.